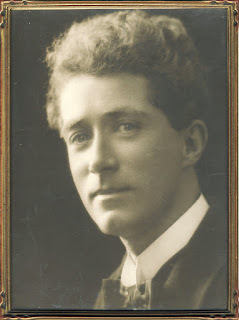 I am attempting to read myself into understanding and getting a 'feel' for the period of my next book - what one might call a 'travel biography' of the glamorous but now forgotten Australian concert pianist Edward Cahill - quite a task but rewarding. Just sharing a few of my recent discoveries with you. I share my Uncle Eddie's love of Chopin and although I never did manage to become a concert pianist although I tried very hard. I vicariously live the life of one through this project at least through writing about the performance of this composer's music (there is a significant chapter on Chopin in my most recent book A Country in the Moon: Travels in Search of the Heart of Poland). Again I live in Warsaw which is crammed to bursting with Chopiniana at present leading up to the International Piano Competition in October. Radio 2 here (known as Dwojka) unashamedly plays many obscure and well- known recordings of the composer with highbrow commentary of the most detailed sort - really terribly interesting. If you are new to this blog and interested there are many other postings concerning my extensive ongoing research into the life of my great-uncle in the Archive on the right - in particular June and July 2010. This project has been generously funded by a competitive Literary non-Fiction Award granted to me by the Australia Council (the cultural arm of the Australian Government). It is nearing the end of its first year of two years of funding. Beenleigh in rural coastal Queensland, Australia in 1895. This is the town where Edward Cahill was born. The town was famous for the powerful rum distilled there, its rifle and rugby club. It was a long, long way from Beenleigh in those days to playing Bach, Chopin, Mozart and Liszt at Buckingham Palace and for the aristocratic Mayfair set and the Proustian world of Paris, the French Riviera and Monaco in the glamorous 1920s and 1930s. Rural colonial Australia was a rough male dominated society. 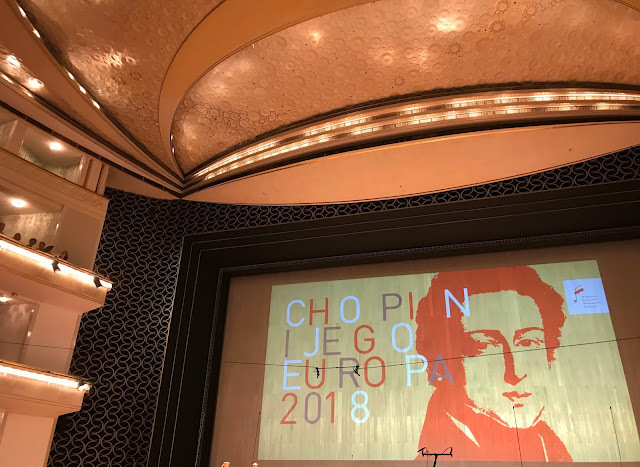 After the Duszniki Zdroj Chopin Festival and the coming International Chopin Competition in Warsaw one realises that concert life in Europe for pianists in the nineteen twenties and thirties was dramatically different to today. My research is turning up very interesting material indeed. He was largely self-taught as a pianist taking his first lessons as a child prodigy from the wife of the Beenleigh milkman. Later, after winning many competitions and during his established professional career in London and Paris, he studied more seriously with Alfred Cortot in Paris and Leonie Gombrich in Vienna. She was a pupil and assistant to the great Polish pedagogue Theodor Leschetizky. For me this humble beginning makes his achievement even more astonishing and emphasises his natural genius for the intrument. Eddie was a friend of the French/Russian surgeon Dr. Serge Voronoff who carried out the first transplantations of monkey testicles into humans in an attempt to prolong and enhance old age. This 'cell regeneration therapy' is still carried out in Swiss clinics. Voronoff wrote a diverting illustrated text entitled The Sources of Life of which I have managed to obtain a copy. 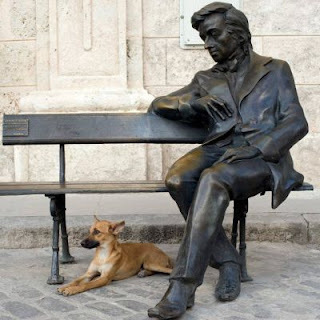 The Ukrainian writer Mikhail Bulgakov wrote a most amusing subversive anti-Soviet novella based around this idea called The Heart of a Dog. Eddie also knew the great Italian air ace Baron Leonino da Zara who flew paper and wire aircraft in the famous 1909 air race in Brescia. This incredible event attracted Franz Kafka, Max Brod, the wild Italian poet D'Annunzio and even the opera composer Puccini as spectators. The whole event is chronicled in a rare and beautifully produced book called The Air Show at Brescia, 1909 by Peter Demetz (New York 2002). ﻿﻿ I have discovered a tiny photograph and short 16mm film of Eddie, Voronoff and de Zara at the Teatro Romano in Ventimiglia where in 1947 Eddie gave the first performance for 2000 years. Eva Peron attended this concert and had a great love of Chopin. He also met the German conductor Furtwangler who gave him a written apologia for his tolerating the Nazis ‘in the cause of immortal German music’. A fascinating document indeed. The English playwright Ronald Harwood wrote a play called Taking Sides which is in part a riveting interrogation of Furtwangler by an American Army Officer after WW II highlighting the moral dilemmas involved in the accusations of 'collaboration' that the conductor suffered. I thought you might also like to hear an example of Edward Cahill's playing. He belonged to a completely different school of pianism to the percussive pounding of today (although the 'thunderers' of the piano have been with us for some time). It is impossible for me to adequately examine the fascinating history of performance here. The recordings of the giants of late Romantic pianism such as Josef Lhévinne, Sergei Rachmaninov, Moritz Rosenthal, Josef Hofman, Vladimir Horowitz and Leopold Godowsky give at least some indication of the incredible Fingerfertigkeit (finger dexterity) of the late nineteenth century. They possessed exquisite beauty of tone with absolute delicacy and evenness of touch which scarcely any pianist today achieves with the same consistency. Above all they possessed great sensibility, poetry and charm. Edward Cahill belonged to the final flourish of this tradition. He adored the playing of Walter Gieseking whose personal credo of pianism was close to his ideal : 'I prefer less power but, instead, more delicacy and ethereal refinement of tone.' 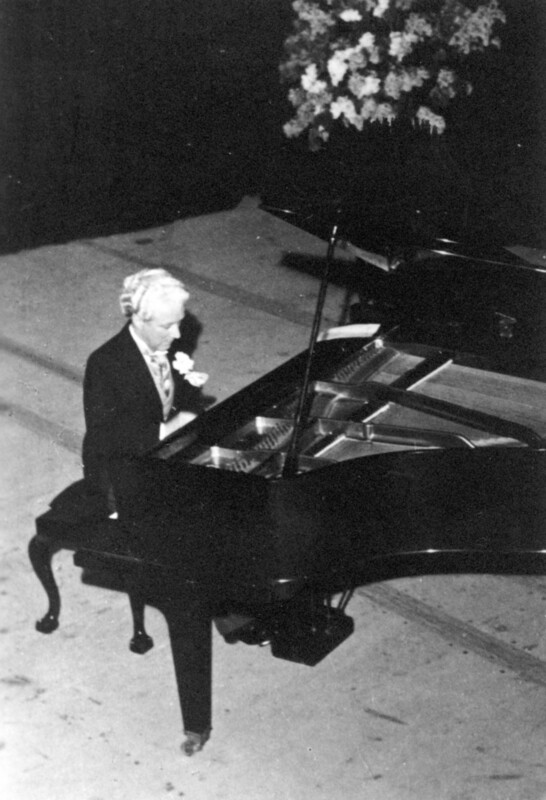 Cahill's superb qualities of tone and touch can be heard to great effect in his private recording of La Campanella ('The Little Bell') by Liszt, the third of his 'Grand Etudes after Paganini' S.141. The theme was taken by Liszt from the final movement of Paganini's Second Violin Concerto in B minor, where the delightful music is actually accompanied by the ringing of a small handbell by the percussionist. Cahill achieves a scintillating bell-like clarity, le son perle, in this marvellous performance on his preferred instrument, the Grotrian-Steinweg. Walter Gieseking found the richness, nuanced tone and delicacy of the Grotrian instrument to be the most cultivated piano in the world. Clara Schumann only gave recitals on her Grotrian-Steinweg and the seductive nature of the instrument was much praised by the composer Paul Hindemith. The monopoly enjoyed today by Steinway and Yamaha in almost every genre of piano music is sadly depriving audiences of the wonderful variety of sound palette and tonal colouration of many other great makes of concert instrument. The recording was made some time in the 1930s on a 78 rpm shellac disc that miraculously survived war, accidents and his own peripatetic existence. Bear in mind that such recordings were made in 'one take' without the multiple digital copies and detailed electronic mixing that contributes to the characterless 'perfection' of too many classical piano recordings today. Cahill is almost note perfect. His virtuosity is all the more remarkable if you understand the fantastically difficult leaps in this piece - he had terribly small hands that could scracely span an octave. This seemed never to be a handicap to this remarkable poet of the instrument. He made a number of private 'visionary' Chopin recordings that also survived but you will have to wait for my book to hear those. Edward Cahill in a recital in 1935 at the Queens Hall, London.